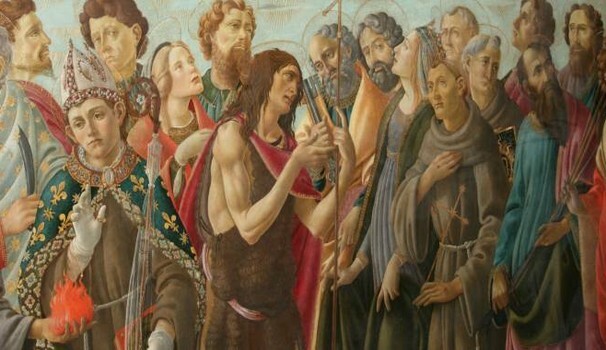 A well hidden Botticelli masterpiece is now finally in the open. 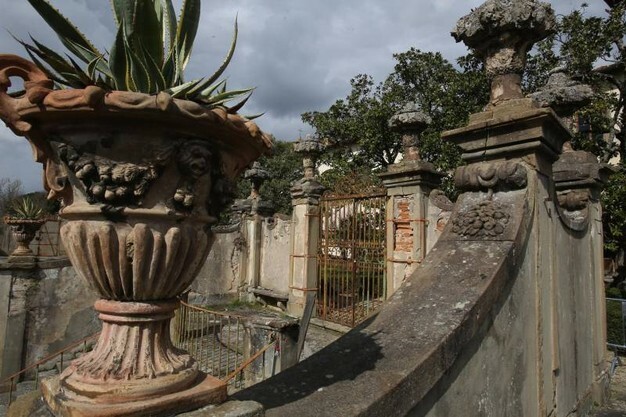 Last March there was a tremendous outcry when a painting of the great Renaissance artist was discovered abandoned in a garage of Villa La Quiete. ‘L’Incoronazione della Vergine’, the Coronation of the Virgin, had been left neglected like grannie’s old chest of drawers. Villa La Quiete lays at the feet of Monte Morello on the hills of Castello overlooking Florence. 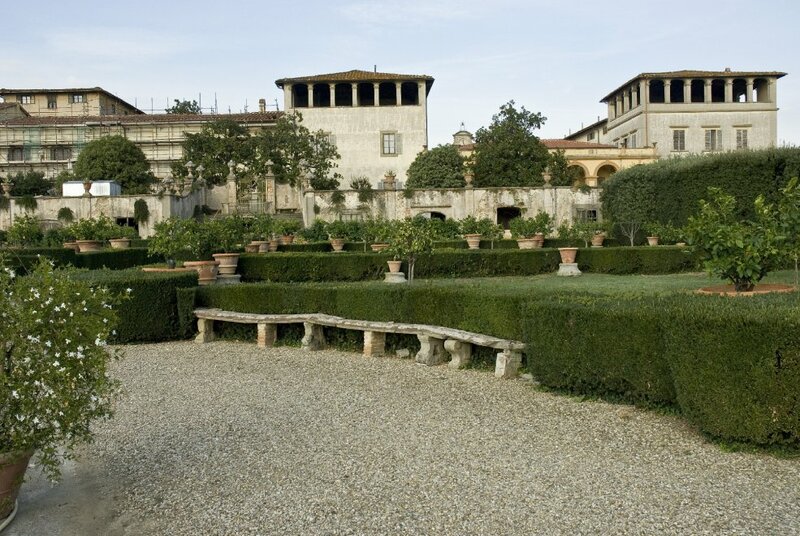 The first news of the villa goes back to the 15th century when Italian condottiero Niccolò da Tolentino received the villa for his services from the Florentine Republic who had taken it from the Orlandini family. 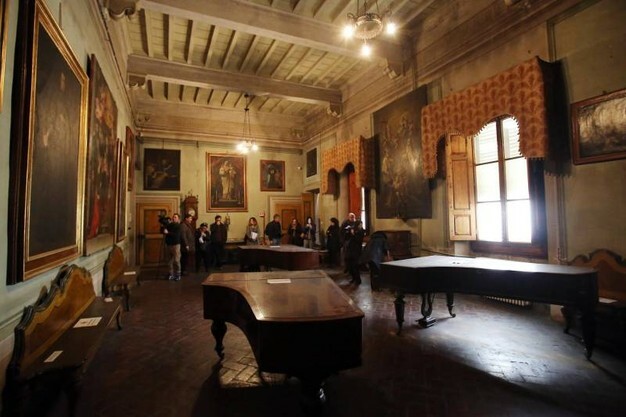 Today it belongs to both the University of Florence and Regione Toscana who in March had put the villa for sale “with all the pieces of furniture and works of arts it contains”. Together with the Botticelli masterpiece were also found two works by Ghirlandaio. 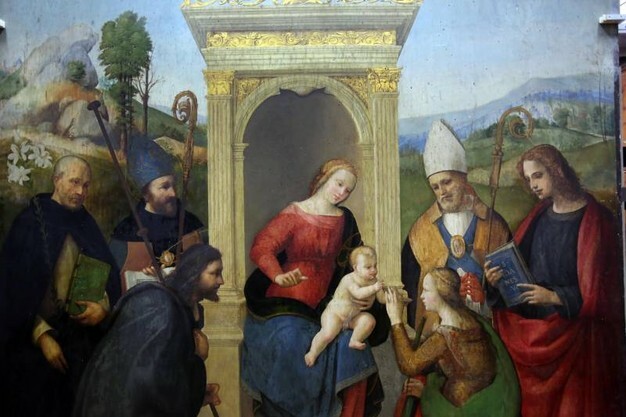 According to Eugenio Giani, a member of the regional council, ‘L’Incoronazione della Vergine’ is a fundamental painting since it reflects the ‘second’ Botticelli. It was painted in 1500 and comes after the Primavera and the Birth of Venus, where pagan culture and nature’s dimension have a central role, whereas here is a different Botticelli who offers the central role to the religious dimension as one can see expressed by the serene beauty of the Madonna. Her delicate and devoted face represents a new concept of beauty and is the symbol of a new Botticelli. 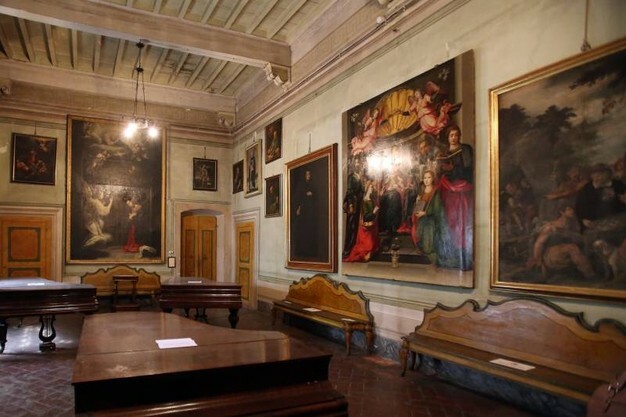 Today both the University and the Regione have arrived to an agreement and the villa’s dining hall will be exhibiting until October 30 some of the great masterpieces found here: L’incoronazione della Vergine e Santi by Sandro Botticelli, lo Sposalizio Mistico di Santa Caterina by Ridolfo del Ghirlandaio and a crucifix by Baccio da Montelupo. This temporary exhibition will prelude to the definite opening of the museum tour for the Spring of 2017 with the refitting of the rooms of the Electress Palatine, Anna Maria Luisa de’ Medici. Here the most consistent part of the paintings belonging to the villa will be put on show. Finally both Botticelli and Villa La Quiete are out in the open. Opening hours, until August 31st on Tuesdays and Saturdays from 5 pm to 8 pm, on Thursdays until 11 pm. From September 1st open on Saturdays and Sundays from 10 am to 7 pm. 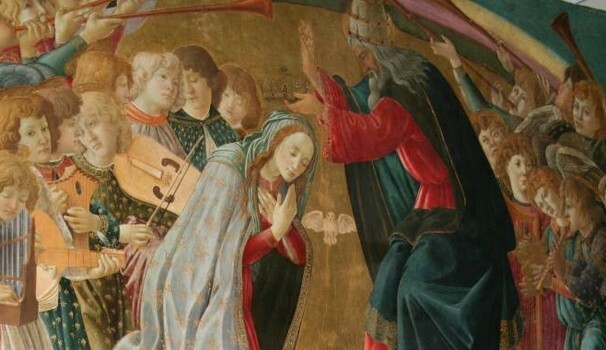 Questa voce è stata pubblicata in Art in Florence, Breaking news, Exhibitions in Florence, Florence, Tuscany, Villas in Tuscany e contrassegnata con Baccio da Montelupo, L'incoronazione della Vergine, Ridolfo del Ghirlandaio, Sandro Botticelli, Sposalizio Mistico di Santa Caterina, Villa La Quiete. Contrassegna il permalink.